DNSchanger is not something new and was quite active years ago , we occasionally encountered one every once in a while, but given the impact they have, we normally don’t bother to write any article. Just like the regular dnschanger, this campaign attempts to guess the password on the router's web authentication page or bypass the authentication through the dnscfg.cgi exploit, then changes the router's default DNS address to the Rogue DNS Server through the corresponding DNS configuration interface. This sub-module uses a third-party program, Fast HTTP Auth Scanner v0.6 (FScan) to perform scan. It's configured with a large number of scanning rules, a list of user passwords, and some startup scripts. The Fscan scan IP range is a list of selected network segments, most of which are attributed to Brazil. Attack Module. The attack module totally includes 69 attack scripts against 47 different routers/firmwares. It collects active router IPs from scanner and launchs Web authentication bruteforce or dnscfg.cgi vulnerability exploits to bypass authentication, after that it will change the routers' default DNS resolver to the rogue DNS server, which is used to hijack specific websites for phishing. Interestingly, we discovered that the PyPhp DNSChanger node has some nice infection statistics, from which we can see the current infection details on each node. Below is a site screenshot. 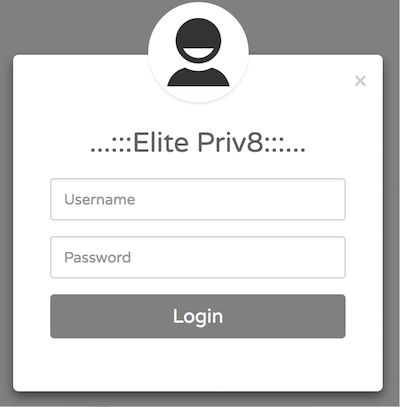 We notice a special label "Elite Priv8" on the login page of the Web Admin System. After some googling, we found the same description on a post titled "testador santander banking 2.1 versão beta elitepriv8" on a Brazilian security forum. We have no access to the Rogue DNS server, so we can’t say for sure how many dns names have been hijacked, but by querying both Alexa Top1M and our DNSMon’s Top1M domains against the rogue DNS server (139.60.162.188) , we were able to find a total of 52 domains being hijacked. The hijacked domains mainly involve bank, cloud hosting service as well as a security company named Avira. Below is the list of rogue DNS servers we have discovered. 200.196.240.104  	"AS11419 Telefonica Data S.A."
200.196.240.120	  "AS11419 Telefonica Data S.A."
The rogue DNS server hijacks specific domains and resolves their IP addresses to the Phishing webserver, which will respond the victims with specific phishing sites for the corresponding hostname. Probing the phising server with the 52 hijacked domains, we were able to discover 19 different phishing websites. Below is the IP addresses of the phishing webserver. Below is the country list of infected IP addresses. Below is the list of web page titles from infected routers. We recommend the broadband users in Brazil to update their router systems, check if the router's default DNS server is changed and set more complicated password for router web portal. Relevant security agencies are welcomed to contact netlab[at]360.cn for a full list of infected IP addresses. Readers are always welcomed to reach us on twitter, WeChat 360Netlab or email to netlab at 360 dot cn. [takendown] 193.70.95.89                 "AS16276 OVH SAS"
[takendown] 198.27.121.241	           "AS16276 OVH SAS"
[takendown] 35.237.127.167	           "AS15169 Google LLC"
200.196.240.104	          "AS11419 Telefonica Data S.A."
200.196.240.120	          "AS11419 Telefonica Data S.A."
[takendown] 35.185.9.164	             "AS15169 Google LLC"
[takendown] 144.22.104.185	           "AS7160 Oracle Corporation"
[takendown] 192.99.187.193	           "AS16276 OVH SAS"
[takendown] 198.50.222.139	          "AS16276 OVH SAS"
[takendown] 104.196.177.180	          "AS15169 Google LLC"
[takendown] 104.196.232.200	          "AS15169 Google LLC"
[takendown] 104.197.106.6	            "AS15169 Google LLC"
[takendown] 104.198.54.181	           "AS15169 Google LLC"
[takendown] 104.198.77.60	            "AS15169 Google LLC"
[takendown] 198.50.222.139	           "AS16276 OVH SAS"
[takendown] 35.185.127.39	            "AS15169 Google LLC"
[takendown] 35.187.149.224	           "AS15169 Google LLC"
[takendown] 35.187.202.208	           "AS15169 Google LLC"
[takendown] 35.187.238.80	            "AS15169 Google LLC"
[takendown] 35.188.134.185	           "AS15169 Google LLC"
[takendown] 35.189.101.217	           "AS15169 Google LLC"
[takendown] 35.189.125.149	           "AS15169 Google LLC"
[takendown] 35.189.30.127                "AS15169 Google LLC"
[takendown] 35.189.59.155                "AS15169 Google LLC"
[takendown] 35.189.63.168                "AS15169 Google LLC"
[takendown] 35.189.92.68                 "AS15169 Google LLC"
[takendown] 35.194.197.94                "AS15169 Google LLC"
[takendown] 35.195.116.90                "AS15169 Google LLC"
[takendown] 35.195.176.44                "AS15169 Google LLC"
[takendown] 35.196.101.227               "AS15169 Google LLC"
[takendown] 35.197.148.253               "AS15169 Google LLC"
[takendown] 35.197.172.214               "AS15169 Google LLC"
[takendown] 35.198.11.42                 "AS15169 Google LLC"
[takendown] 35.198.31.197                "AS15169 Google LLC"
[takendown] 35.198.5.34                  "AS15169 Google LLC"
[takendown] 35.198.56.227                "AS15169 Google LLC"
[takendown] 35.199.106.0                 "AS15169 Google LLC"
[takendown] 35.199.2.186                 "AS15169 Google LLC"
[takendown] 35.199.61.19                 "AS15169 Google LLC"
[takendown] 35.199.66.147                "AS15169 Google LLC"
[takendown] 35.199.77.82                 "AS15169 Google LLC"
[takendown] 35.200.179.26                "AS15169 Google LLC"
[takendown] 35.200.28.69                 "AS15169 Google LLC"
[takendown] 35.203.111.239               "AS15169 Google LLC"
[takendown] 35.203.135.65                "AS15169 Google LLC"
[takendown] 35.203.143.138               "AS15169 Google LLC"
[takendown] 35.203.167.224               "AS15169 Google LLC"
[takendown] 35.203.18.30                 "AS15169 Google LLC"
[takendown] 35.203.183.182               "AS15169 Google LLC"
[takendown] 35.203.25.136                "AS15169 Google LLC"
[takendown] 35.203.3.16                  "AS15169 Google LLC"
[takendown] 35.203.48.110                "AS15169 Google LLC"
[takendown] 35.203.5.160                 "AS15169 Google LLC"
[takendown] 35.203.8.203                 "AS15169 Google LLC"
[takendown] 35.204.146.109               "AS15169 Google LLC"
[takendown] 35.204.51.103                "AS15169 Google LLC"
[takendown] 35.204.77.160                "AS15169 Google LLC"
[takendown] 35.204.80.189                "AS15169 Google LLC"
[takendown] 35.205.148.72                "AS15169 Google LLC"
[takendown] 35.205.24.104                "AS15169 Google LLC"
[takendown] 35.221.110.75                "AS19527 Google LLC"
[takendown] 35.221.71.123                "AS19527 Google LLC"
[takendown] 35.227.25.22                 "AS15169 Google LLC"
[takendown] 35.228.156.223               "AS15169 Google LLC"
[takendown] 35.228.156.99                "AS15169 Google LLC"
[takendown] 35.228.240.14                "AS15169 Google LLC"
[takendown] 35.228.244.19                "AS15169 Google LLC"
[takendown] 35.228.73.198                "AS15169 Google LLC"
[takendown] 35.228.90.15                 "AS15169 Google LLC"
[takendown] 35.230.104.237               "AS15169 Google LLC"
[takendown] 35.230.158.25                "AS15169 Google LLC"
[takendown] 35.230.162.54                "AS15169 Google LLC"
[takendown] 35.230.165.35                "AS15169 Google LLC"
[takendown] 35.231.163.40                "AS15169 Google LLC"
[takendown] 35.231.60.255                "AS15169 Google LLC"
[takendown] 35.231.68.186                "AS15169 Google LLC"
[takendown] 35.232.10.244                "AS15169 Google LLC"
[takendown] 35.234.131.31                "AS15169 Google LLC"
[takendown] 35.234.136.116               "AS15169 Google LLC"
[takendown] 35.234.156.85                "AS15169 Google LLC"
[takendown] 35.234.158.120               "AS15169 Google LLC"
[takendown] 35.234.77.117                "AS15169 Google LLC"
[takendown] 35.234.89.25                 "AS15169 Google LLC"
[takendown] 35.234.94.97                 "AS15169 Google LLC"
[takendown] 35.236.117.108               "AS15169 Google LLC"
[takendown] 35.236.2.49                  "AS15169 Google LLC"
[takendown] 35.236.222.1                 "AS15169 Google LLC"
[takendown] 35.236.246.82                "AS15169 Google LLC"
[takendown] 35.236.25.247                "AS15169 Google LLC"
[takendown] 35.236.254.11                "AS15169 Google LLC"
[takendown] 35.236.34.51                 "AS15169 Google LLC"
[takendown] 35.237.127.167               "AS15169 Google LLC"
[takendown] 35.237.204.11                "AS15169 Google LLC"
[takendown] 35.237.215.211               "AS15169 Google LLC"
[takendown] 35.237.32.144                "AS15169 Google LLC"
[takendown] 35.237.68.143                "AS15169 Google LLC"
[takendown] 35.238.4.122                 "AS15169 Google LLC"
[takendown] 35.238.74.24                 "AS15169 Google LLC"
[takendown] 35.240.156.17                "AS15169 Google LLC"
[takendown] 35.240.212.106               "AS15169 Google LLC"
[takendown] 35.240.234.169               "AS15169 Google LLC"
[takendown] 35.240.94.181                "AS15169 Google LLC"
[takendown] 35.241.151.23                "AS15169 Google LLC"
[takendown] 35.242.134.99                "AS15169 Google LLC"
[takendown] 35.242.140.13                "AS15169 Google LLC"
[takendown] 35.242.143.117               "AS15169 Google LLC"
[takendown] 35.242.152.241               "AS15169 Google LLC"
[takendown] 35.242.203.94                "AS15169 Google LLC"
[takendown] 35.242.245.109               "AS15169 Google LLC"
[takendown] 40.74.85.45                  "AS8075 Microsoft Corporation"